Sundance DiGiovanni, Co-Founder and CEO of Major League Gaming, the global leader in eSports. 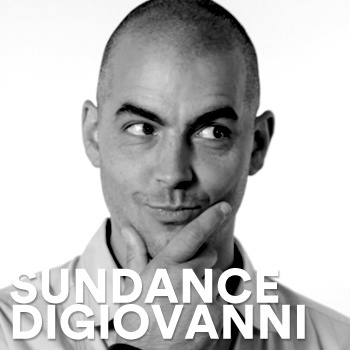 Sundance is a seasoned executive, recognized thought leader in video game culture, and veteran creative director with more than 18 years of experience in the media, technology and video game industries. Sundance focuses on the global growth of competitive video gaming, expansion of MLG as a digital media property, and the its distribution platform MLG.tv that is bringing this burgeoning sport to an ever-growing community worldwide. The company operates MLG.tv, the #1 online broadcast network for professional level competitive gaming; the MLG Pro Circuit, the longest-running eSports league in North America; and MLG: Play, the largest cross platform online gaming tournament system with 8 million registered users across the globe. At the upcoming 2014 D.I.C.E. Summit in Las Vegas, Sundance will discuss the growth and evolution of eSports, the similarities with traditional sport, how eSports has become the go-to sport for many, and how free to play games are impacting the eSports space. He will also discuss the future of the eSports landscape and how new consoles, new games and a wider global audience will catapult eSports into the mainstream in the next five-10 years. Work has been chewing up most of my time lately with travel and late nights. Other than being lucky enough to play early builds of some yet to be announced games (I have seen the future and it is awesome! ), I’ve been trying to spend a bit of time playing GTA V, Call of Duty: Ghosts, The Stanley Parable, Dota 2 and one of my favorite throwbacks Halo CE on the original Xbox. I’m really excited to see the final product that Respawn cranks out for TitanFall. Everything about that game feels big and fun. Then of course there’s the next Halo. I’m expecting a lot from 343 for the next release. There are also a couple of next gen titles that I’ve had a chance to play that are in early development that blew my mind. One’s a new twist on a very popular genre, while the other is a truly creative take on the FPS genre. On my iPhone I’ve been somewhat addicted to Pivvot. It’s a nice experience that combines a reactive soundtrack with a quick twitch puzzler. On console I think the best game that never got played might have to go to Psychonauts. The game is so fun and had such a great personality to it. Being the type of person who leans far more creative than business, I think reading books like Freakonomics and The Power of Habit (there are several others but these two stand out) allowed me to take what surfaced during my personal and collaborative brainstorming sessions and surface those thoughts in a more polished and manner - essentially marrying creative output with intent that can propel whatever the project at hand may be. It is impossible for me to answer this as it changes depending on the project, my mood and what’s happening around me at the time. I tend to hit shuffle on one of my playlists and just see where the music takes my thoughts. I like to create playlists that blend hip hop, funk, rock, blues, EDM and classical music together. When I let my mind wander, I find that an eclectic mix of music is more enjoyable than just locking in on one genre. I’ve become addicted to creating Spotify playlists during my evening train commute home. Playlists for skiing, playlists for when I’m playing video gamed, playlists for when I’m in my car. I love all types of music and having access to so much music and the ability to discover new music is just incredible. I have an MLG tournament station set up at my house. I can LAN eight Xbox 360s or Playstations 3s or five PCs. I’ll add the next gen hardware to that mix in a couple of weeks. I’ve also got a closet with older consoles just in case someone wants to throwdown in an older title. I’ve become obsessed with Sonos. I have them all over my home and office and it’s changed my life. Having the ability to control my music room by room allows me to create different work and play environments as I see fit at any given moment. I’m also a big fan of SmartThings and dropcams - basically anything that allows me to control my living or working environment from my phone or tablet is right up my alley.